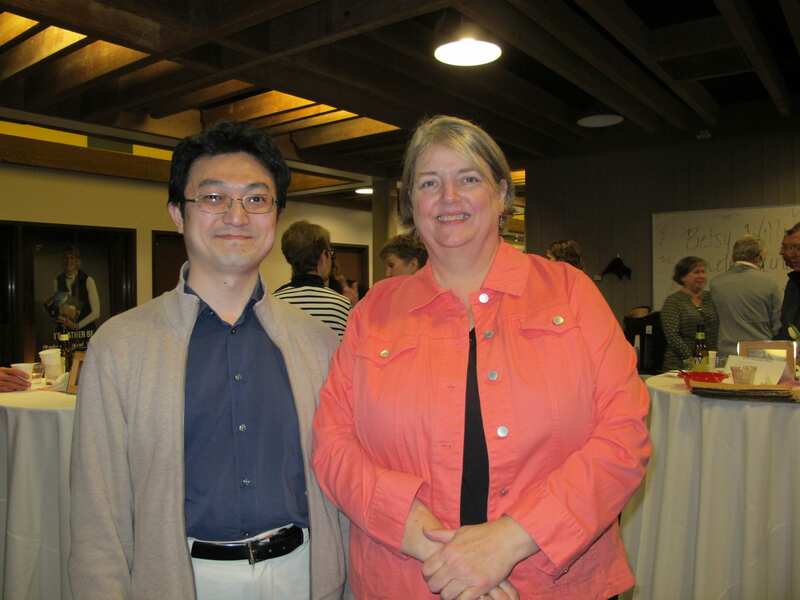 Betsy Williams, Dermatology Division Administrator, retired after 29 years of service at the University of Washington. 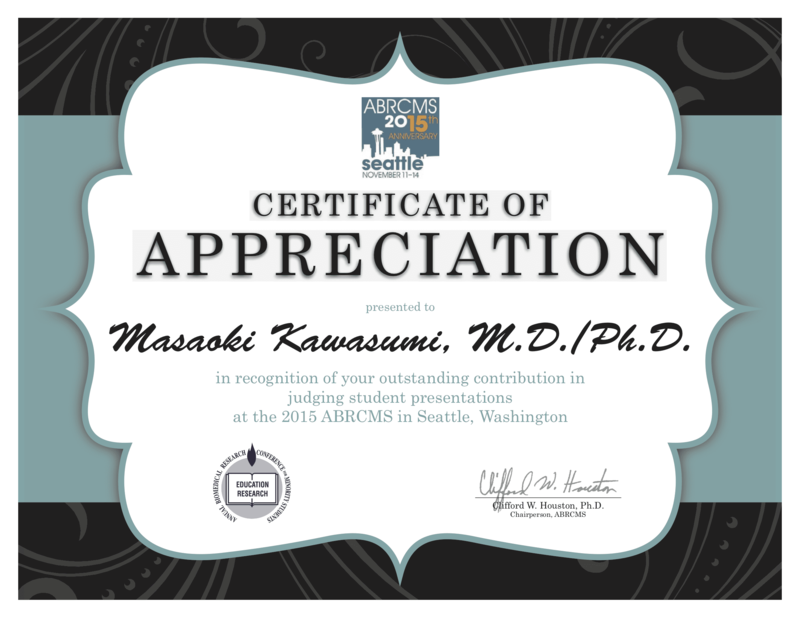 Masaoki attended the Annual Biomedical Research Conference for Minority Students (ABRCMS) 2015 in Seattle, Washington and served as a poster judge for the undergraduate poster competition. 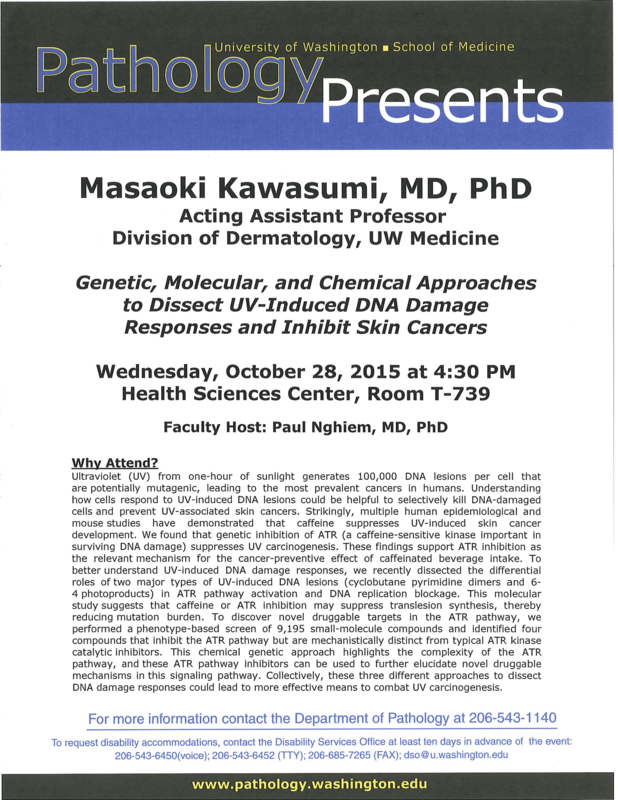 Masaoki gave a talk at the University of Washington (Pathology Presents Seminar). 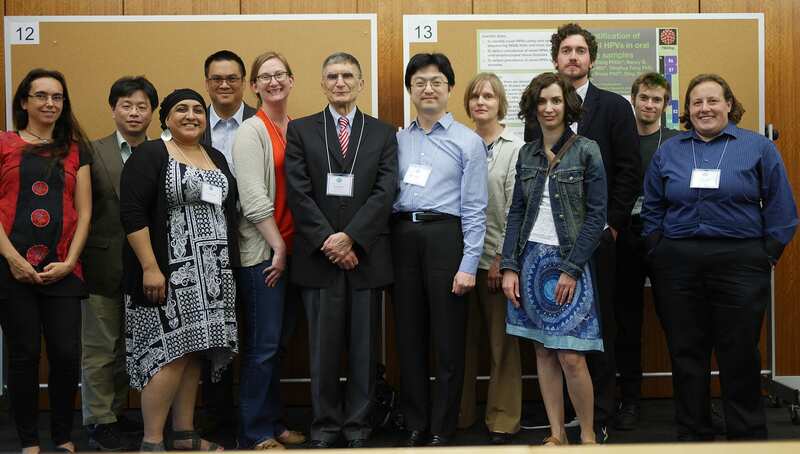 Masaoki and Takeshi joined the Annual Dermatology Retreat at the Center for Urban Horticulture and presented posters. 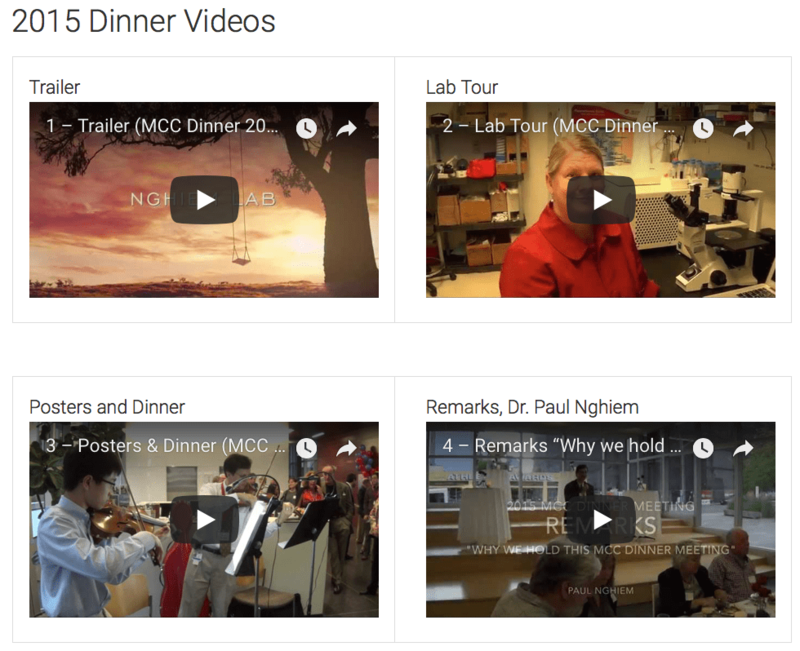 Dr. Nghiem's Laboratory hosted the 2015 Merkel Cell Carcinoma (MCC) Dinner Meeting for patients and families. 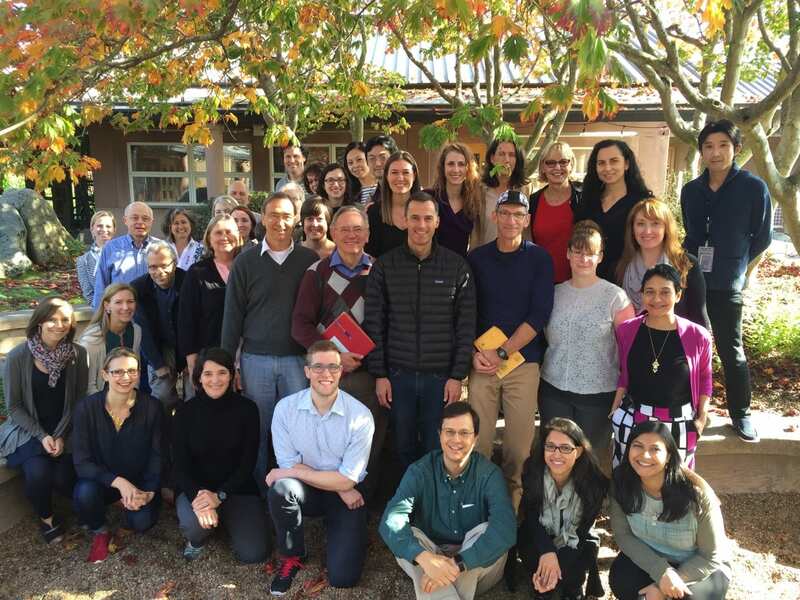 Over 220 patients, family members, clinicians, scientists, and trainees gathered. Masaoki and Takeshi attended the Meeting. Masaoki met with Drs. 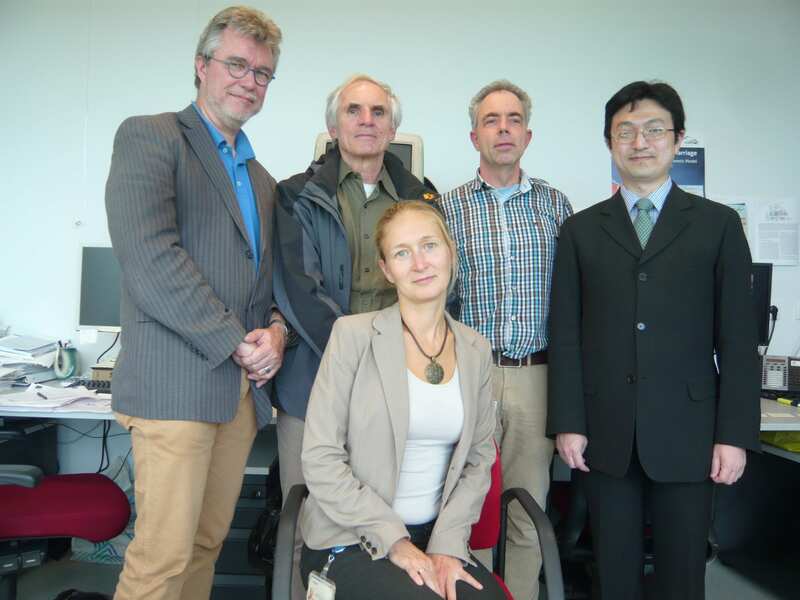 Wim Vermeulen and Jan Hoeijmakers, and gave a talk [Special Seminar at Erasmus University Medical Center, Department of Molecular Genetics (Rotterdam, The Netherlands)]. 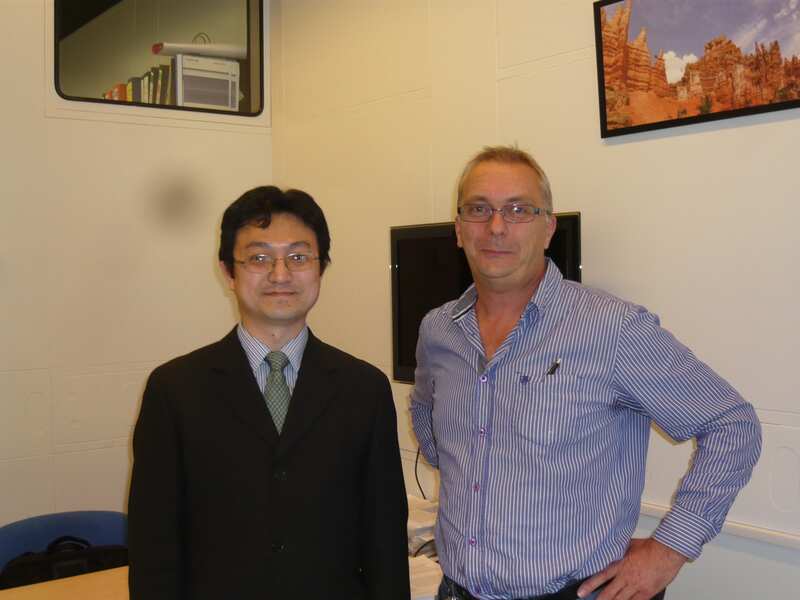 Masaoki met with Drs. Niels de Wind, Frank de Gruijl, and Leon Mullenders, and gave a talk [Special Seminar at Leiden University Medical Center, Department of Human Genetics (Leiden, The Netherlands)]. 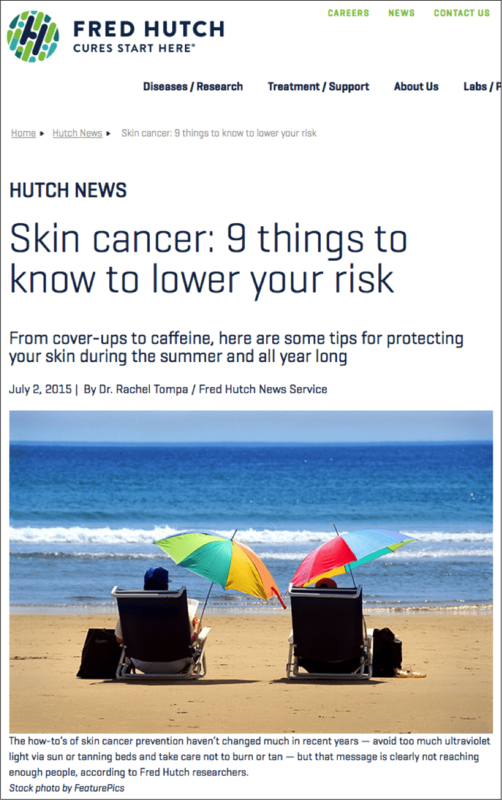 Masaoki was quoted in the article “Skin cancer: 9 things to know to lower your risk” in Fred Hutch News. 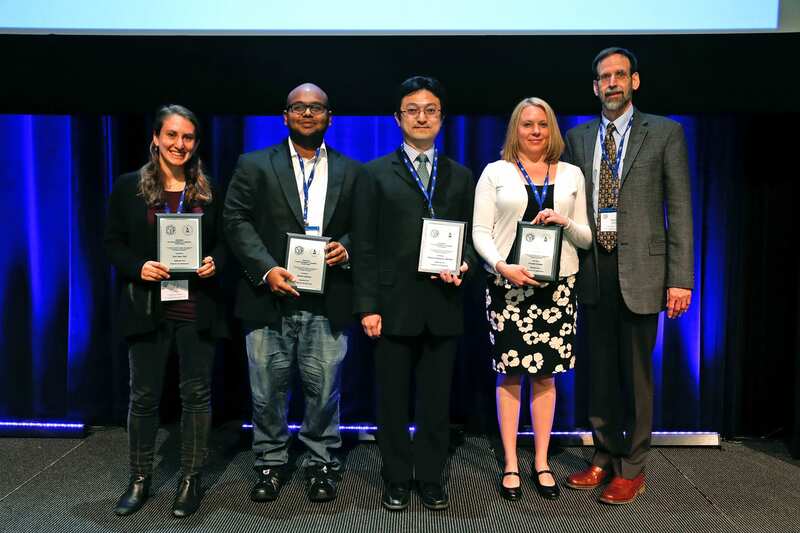 Masaoki was selected to give an oral presentation at the 2015 South Lake Union Group (SLUG) Research Symposium.